Frankenstein. Photo courtesy Neptune Theatre. 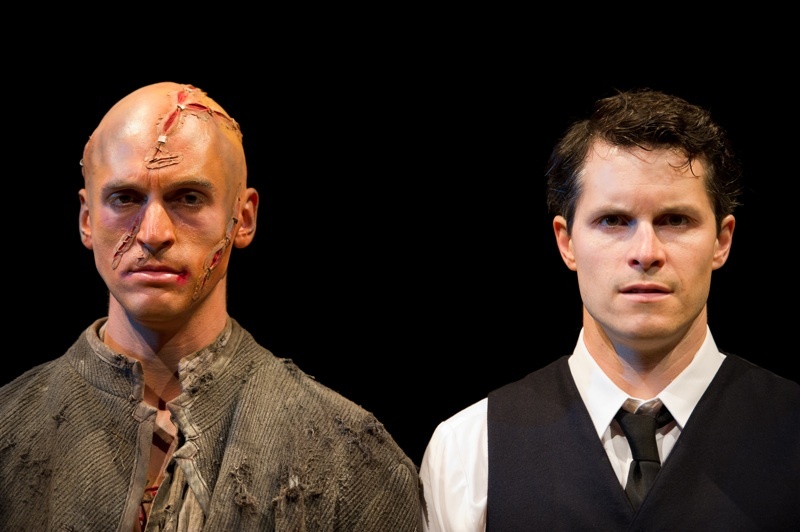 Another year of Halifax’s only professional theatre is off to a crawl with Frankenstein, the opening show of their 2011/2012 season. Before I rip in to the show, there are a few things that we should get out of the way. First, Frankenstein is NOT the monster. Victor Frankenstein is the creator of the “monster”. The traditional story, written by Mary Shelley, is about Victor Frankenstein and his crazy, mad scientist ways. Whatever you may have just felt while reading the above paragraph was totally absent in the play. The fact that Neptune Theatre advertised this play as “from the classic novel by Mary Shelley” is criminal. The play was closer to a terrible British comedy, in which the actors did not act. There was so much potential for greatness and such drama. This may seem harsh and this review is not a reflection of the actors involved in the show who I know are capable of far better. There was just no tension. It didn’t take any risks. The actors stood around in the middle of a well-lit, spotless, beautiful study telling the audience about his process. All the while making jokes about strawberries in perfectly pressed suits. They literally stood motionless, looking at each other and talking. The characters told us the play instead of showing it. I didn’t once go “yuck” or “ewww” or “gasp!” or feel any emotion toward any characters in the play. There were a few good things, an example being the exquisite set by Geofrey Dinwiddie. The few good things didn’t make up for the fact that this is the Neptune Theatre and therefore audiences expect more. The play started with the monster already living and went on with the story from there. Any semblance of Shelley’s story was discussed and disregarded. There are in fact over 15 professional theatre companies in Halifax. Please inform yourself about the community whose work you chose to speak of. Otherwise, you misinform your readers to the great disservice of both readers and theatre makers and put into question your position as someone who can speak of the topic with any authority. The simplest way to be informed would be through conversations with the faculty within the Theatre Department, or getting in touch with Theatre Nova Scotia.